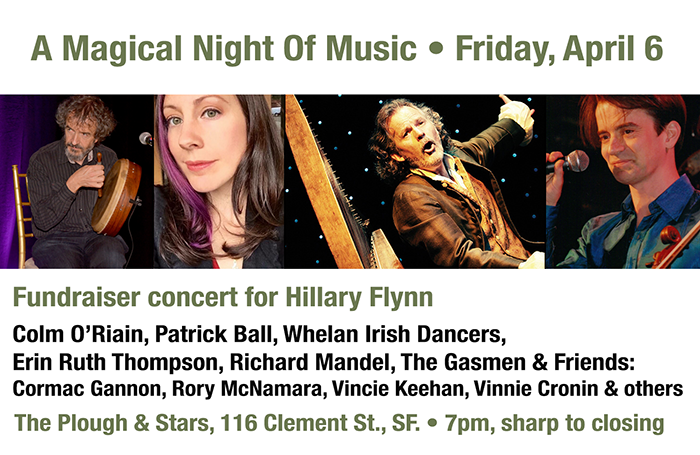 Hillary Flynn is a much-loved, respected and valued member of the Irish and Irish-American community in the Bay Area where she has been co-producing the Irish-American Crossroads Festival and the Irish Oral History Archive of the SF Bay Area for several years. In 2016, Hillary was diagnosed with breast cancer, and following intense treatment for 12 months she emerged apparently cancer-free, quickly resuming a healthy living, regular life with family and friends, and also beginning a new job in November 2017. In mid-January 2018, upon routine investigation into back pain, evidence of a tumorous cancer growth was discovered in Hillary's spine - a metastatic spread of her original diagnosis. Hillary underwent surgery to remove the tumor on January 19th, has already completed radiation treatment, and will follow the recommended medical protocols. Hillary lives in Mill Valley with her husband and their two young children. 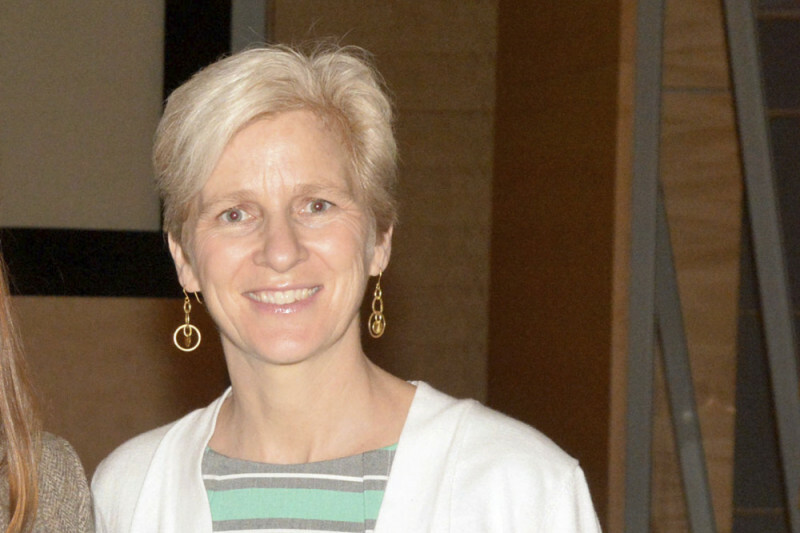 She faces this challenging diagnosis head-on with a positive outlook, and is confident that she is getting the best possible care from the doctors and nurses at UCSF. Considering the difficulties that lie ahead in terms of medical costs and living expenses (Hillary has had to step down, for now, from her new job so that she can recover from her surgery and focus on healing), we are asking the Bay Area community, and beyond, to rally to support this wonderful, gracious, caring lady and her family. We trust, with your help, we can provide some much-needed financial assistance to ease this difficult journey. Please give generously, thank you! Music by Patrick Ball, Colm O'Riain, Erin Ruth Thompson, Rory McNamara, Cormac Gannon, Vinnie Cronin, Vincie Keehan and The Gasmen, and dancing by Whelan Irish Dancers. Starts at 7pm, sharp, to closing. Admission on donation only.